It’s hard to be disappointed when you’re catching fish. Any fish, big or small, is exciting to pull in. Despite this, most fishermen have their preferences. Some prefer certain species, while others want high quantities. Many also want to catch wild or native fish. Wild and native fish are both a treat to catch. However, although the words “wild” and “native” are sometimes used interchangeably, they aren’t the same thing. People often confuse these terms because both seem to be the opposite of stocked fish. 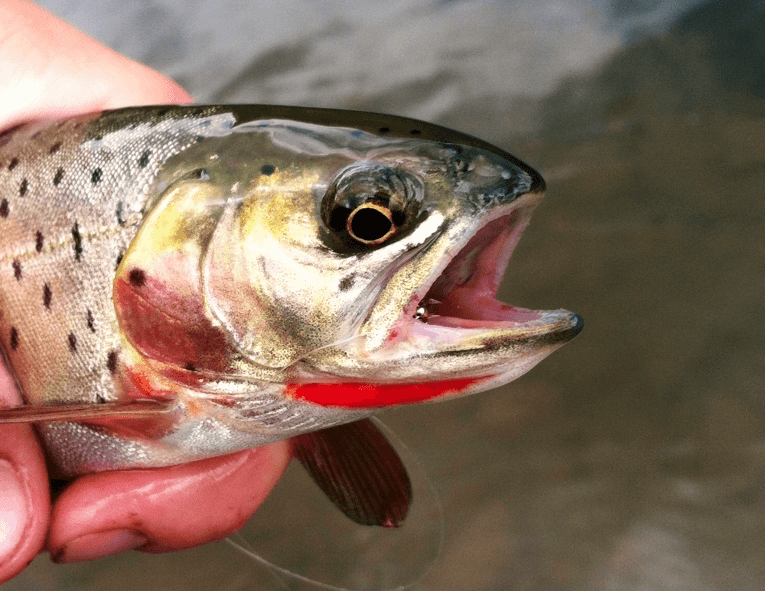 Since stocked fish are usually dull in color and, quite frankly, a little dumb, anything that isn’t a stocked fish is generally considered higher quality. 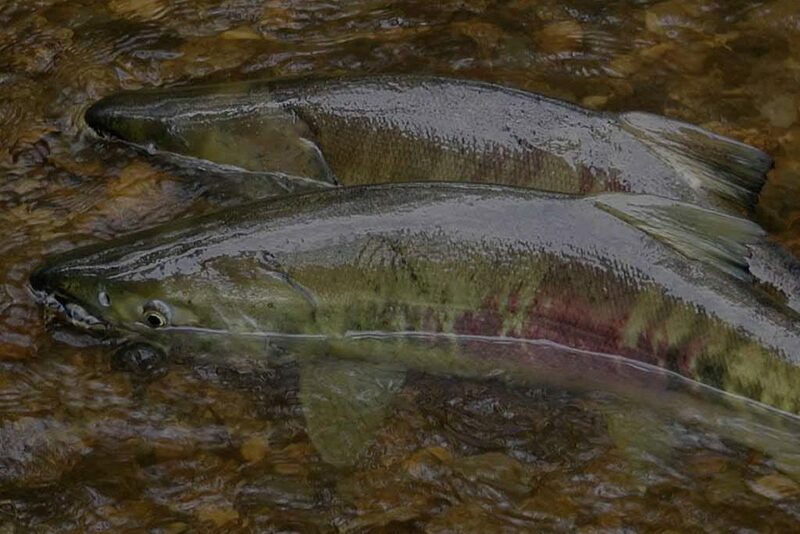 This makes both wild and native fish desirable, although folks who know the difference often consider native fish a cut above their wild counterparts. In a nutshell, wild fish are fish that were born in a natural environment. This could be a lake, river, or pond — any wild piece of water that isn’t a hatchery. Wild fish populations reproduce naturally and are self-sustaining. 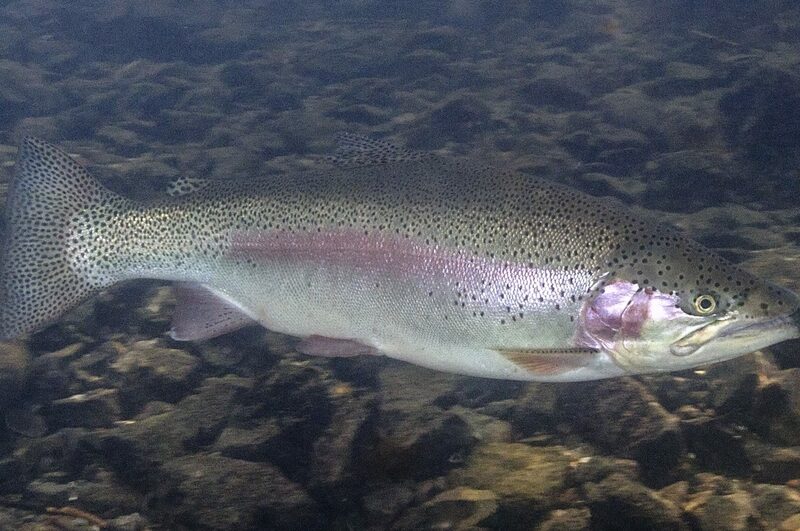 These fish have never seen the walls of a hatchery and have spent their entire lives in the river or lake they inhabit. Wild fish are almost always considered superior to hatchery fish. They are generally smarter and more colorful, and tend to fight harder. Hatchery fish, raised on a diet of pellets and kept in concrete holding tanks, aren’t well-equipped to survive in wild waters. This means that due to angling pressure, predation, and competition, they have relatively high mortality rates. Wild fish don’t have to have wild parents, though. While many stocked fish are killed shortly after entering wild water, some make it long enough to spawn. The offspring of these hatchery fish are wild, and when they reproduce, their offspring will be wild, too. Even if they’re non-native, wild fish can be a treat to catch. Many people also tip their hats to those stockers that make it longer than a year, or even a single winter. Credit where credit is due. These hatchery-born fish, called holdovers, have beaten the odds. They may start to take on qualities usually associated with wild fish. Brighter colors, leaner bodies, and a wary attitude toward food develop in these holdovers. Although they are technically stocked fish, they could easily be mistaken for wild fish after a while. Apart from intentional markers like clipped fins, they may be indistinguishable. After a few years, many anglers would consider those hardy holdovers to be, in essence, wild. Native fish, although similar to wild ones, are different. While both are revered more than stocked fish, natives tend to rank higher than wild fish on most people’s scales. Native fish are fish that have naturally existed in a given area without human intervention. Examples of native fish include brook trout in the Appalachians, or walleye in the Great Lakes. These fish have been living and reproducing in their watersheds for ages, and were there long before people started transplanting species. Some popular game species, like brown trout, aren’t native anywhere in North America. Others, like brook trout, are native to some parts of the US and nonnative to others. Although many brookies in western states are wild and have been naturally reproducing for years, they’ll never be native there. 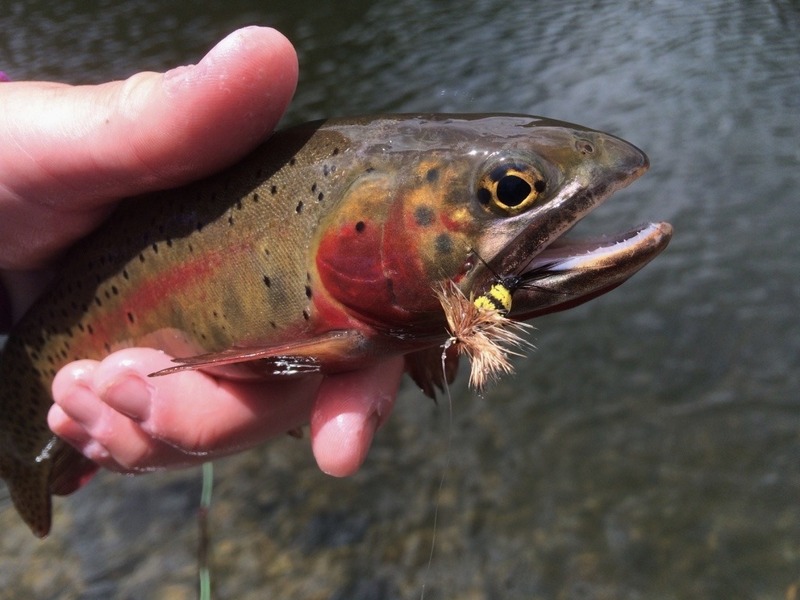 Native fish are the crown jewel of any fishery. Anglers’ reverence for native species probably stems from an appreciation of nature unaffected by man. Like the comparison of a Wilderness area to a city park, native species represent something much older and grander than human influence. But, the same way some people aren’t strict about what constitutes a wild fish (in the case of old holdovers), there’s also occasionally a disagreement in the world of native fish. Technically, native fish are those that have always lived, uninterrupted over generations, in their home waters. This means that the offspring of stocked fish, even if it’s a local species, are not truly native. However, many people have come to accept fish as native as long as they’re in their native range and are wild. 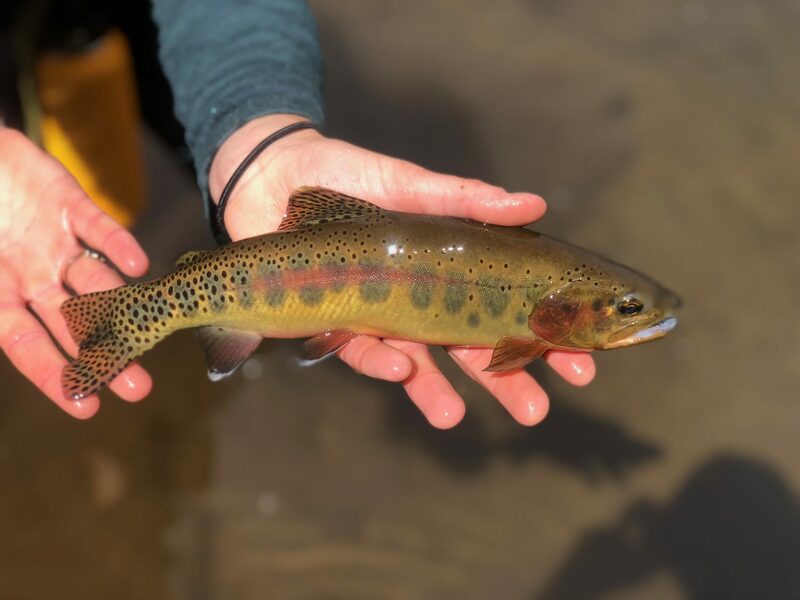 For example, a wild brook trout in the Smokies may be the descendent of a long-ago stocked fish, but since it lives in its historical range and has never known anything but cool, crisp stream water, many would refer to it as a native brook trout. 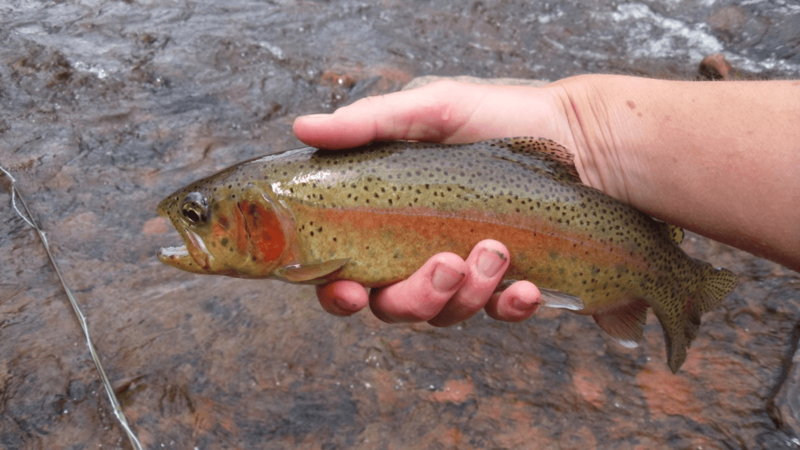 This is a way of placing a higher value on the fish where it’s “supposed” to be, unlike the brookies of the west that out-compete cutthroats. Whether you’re strict about the definitions of “wild” and “native,” or just like to appreciate fish who’ve never lived in a tank, knowing the difference between the terms is important and gives clarity to the species we love to chase.